We all know how important it is to protect our hearing in loud environments. Especially so when you have Tinnitus or any other kind of disorder that affects your hearing, because you are starting out at a disadvantage. Sustained exposure to loud noises, like at a concert, sporting event, or loud movie, causes hearing loss and will make our Tinnitus so much worse. Earplugs are the answer, but regular earplugs don’t work very well when you actually want to hear what’s going on around you. They muffle and distort the quality of the sound. If you’re at a concert, the movies, or in a loud restaurant, traditional earplugs are not the way to go. Instead you want to use a set of high fidelity musician’s earplugs. Rather than attempting to block out the sound, or absorb it, high fidelity earplugs filter the sound and lower the volume without affecting the quality. I’m happy to announce that I am giving away 10 free pairs of high Fidelity Earplugs! 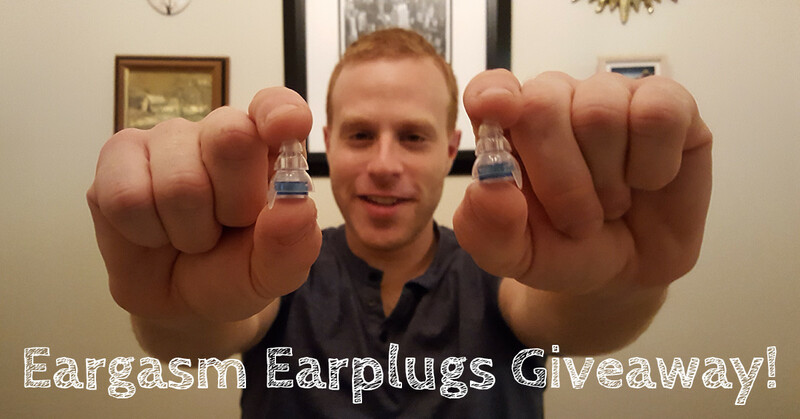 After a recent post about the social stigma of wearing earplugs, I was fortunate to connect with Ryan Parry, the founder and creator of Eargasm Earplugs. Ryan is a musician and self professed lover of loud music. 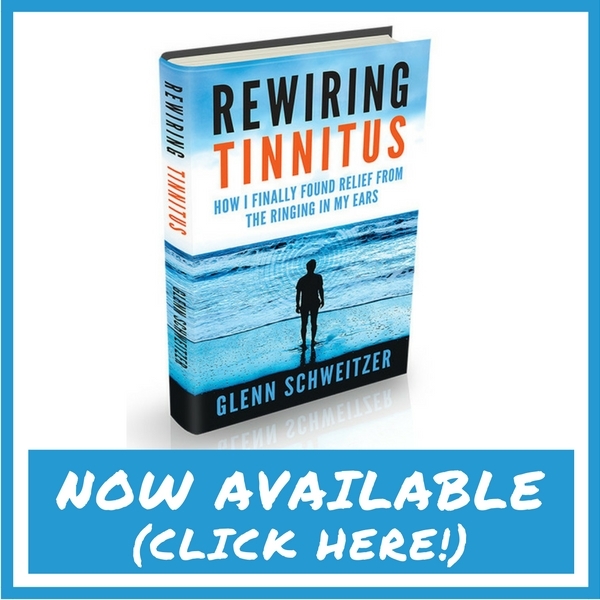 When he started to experience Tinnitus, he knew he had to make some changes. But he couldn’t find a set of earplugs that he liked, so he started a company to create the set of earplugs that he was looking for. Ryan was kind enough to send me a free pair to test out as well as 10 pairs for me to give away to all of you! I have tested the earplugs extensively over the last week, and in the video above, you can find my full review. But the bottom line is that I was really impressed. I had the chance to wear them out to a noisy restaurant, to an IMAX movie, and at work. From the side you can barely see that I’m wearing earplugs at all! From the front you can’t see anything. They are extremely discreet, which made me feel much more comfortable wearing them out in public. And I found them to be extremely comfortable to wear for long periods of time. Though I wasn’t surprised. I had high hopes for these, as Eargasm Earplugs are one of the most popular sets of Musician’s Earplugs on Amazon with over 300 five-star reviews! Update: The Contest is officially over as of 8/24/16 at 11:59PM EST. Congratulations to all of the winners! If, however, you still would like to try these out, I was also able to get a discount code for everyone to use at www.eargasmearplugs.com. They are also available in the US on Amazon Prime if you prefer to get them that way. I entered, but I also ordered and received a pair. My question is, will these be effective for use while flying (I suffer greatly from the pressure), or will I still need to purchase “Earplanes” or other ear plugs specifically designed for flying instead? Hi Michael, they won’t help to relieve the pressure on an airplane, but they would be good to wear in the airport before hand, to reduce the overall noise level. The earplane earplugs are the only ones I know of that slow down the pressure changes. I am a hyperacusis sufferer and these could make all the difference in my world! I’m looking for info for my son Scott, he has Meniere’s in both ears, suffers greatly; attacks often. Wanted to fly him to Fl for a visit but not so sure he’ll be able to handle it?? Of course my heart aches for him, he’s had it for about 14 years, read that it stops or goes away, doesn’t seem like it, has lost all gearing in right ear, has maybe 30% left in other ear and the attacks are often and long. Hi Sherron, I’m sorry your son is suffering so much. Email me at glenn@mindovermenieres.com and I will send you a bunch of helpful information and links!